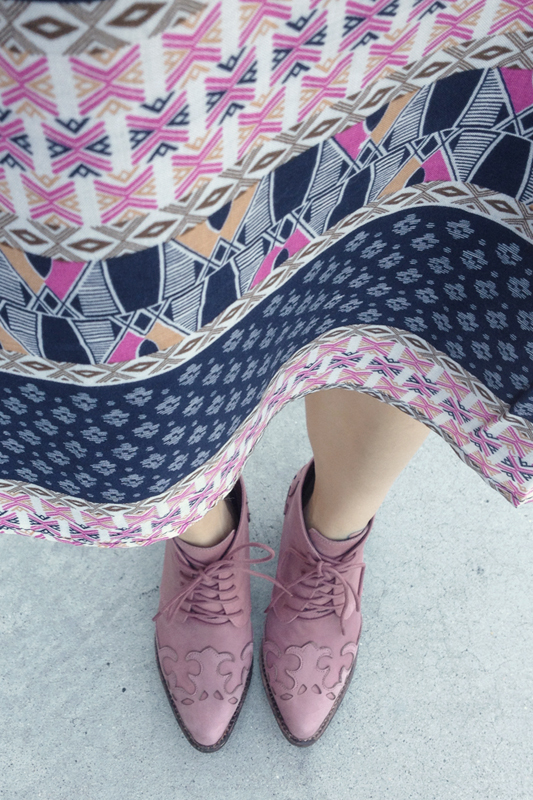 Mixing pink and blue can be tricky. If it's done right, it can be glorious. The trick is mixing different shades of each color... light blue with a darker or mauve pink or light pink with cobalt or navy. If you put light blue and light pink together, you will end up looking like a babyshower and that's quite disastrous! I love this little number from Lucca Couture, the print is lovely and the cut is easy and perfectly flowy. I especially love the mesh details along the neckline! I paired it with a dusty blush sweater, Jeffrey Campbell Haliwell booties in mauve, and a navy satchel to give this whole pink and blue thing a try! What do you think? Scuba neck sheath dress c/o Lucca Couture. Thrifted vintage blush mohair cardigan sweater. Navy satchel handbag by Mossimo from Target. Midi rings set c/o Sole Society. Jeweled earring cuff from Ebay. I love how flowy it is, the dress has a bit of a boho feel. the colors are perfect. 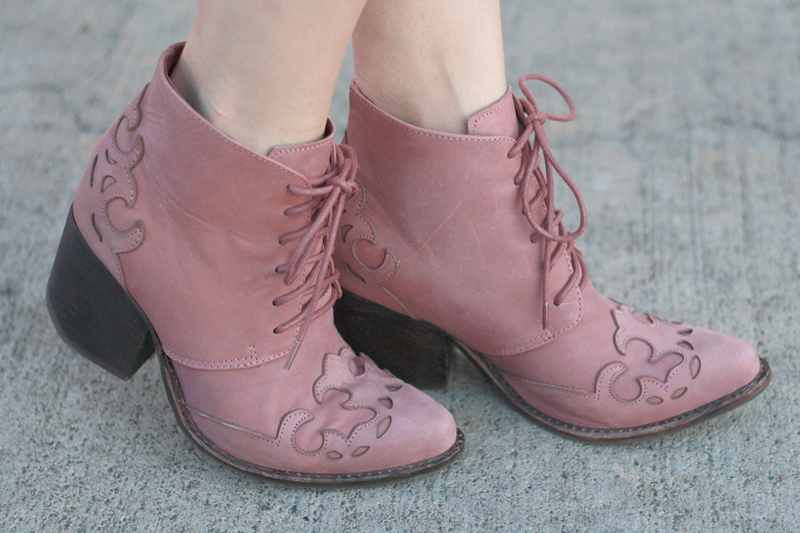 & I am in love with those booties! I love the jewelry! You are adorable!